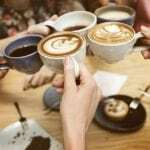 Coffee is one of the most commonly consumed beverages in the United States. Most people here tend to start their day by having at least one cup. While some go to a coffee shop every morning, others tend to use their own coffee machine. According to statistics, millions of people in the United States drink coffee everyday. Yes, there is the odd tea-lover or two, but coffee-lovers reign supreme. The thing about a brewer is that no matter how expensive or inexpensive, it is bound to affect the quality of the beverage unless taken care of properly. Taking care of your brewer may sound simple, however, this is exactly where most people struggle. Following are a couple of tricks that will help you expand the life of your coffee brewer. The lifespan and the quality of your coffee machine also starts deteriorating depending on the number of times you use it for brewing. You want to get the most out of your machine, thus overtaxing it would be unwise. If you brew coffee several times a day, it is better to buy a bigger brewer and brew a couple of cups at once. Using a smaller machine over and over again in a single day will not let the brewer last long. Consider your usage before purchasing a brewer. 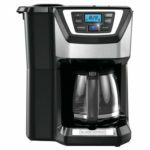 If you know that you prefer several cups of a coffee a day as opposed to one or two, then look into an inexpensive brewer with a bigger water tank. One of the things that many people do not know about, and which diminishes the life of their brewer is its placement. Some coffee brewers are quite delicate in make and model. Placing them near high-temp areas like near a stove adversely affects the brewer. It may not be the case in the short term, but the coffee machine is almost definitely going to lose a good part of its life over a long period of time. Thus, make sure that you have a good spot for it on your kitchen counter. 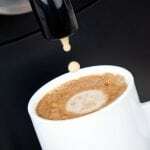 Cleaning your coffee machine is also equally important when it comes to increasing its lifespan. Also, a coffee brewer that has not been cleaned in a while can affect the whole taste of the brew. Since it is a bit complex to clean a brewer, it is normally advised to buy one that offers simple cleaning. Usually, the ones that can be dissembled and reassembled easily are the ones that are easiest to clean. Make sure you clean your coffee brewer at least once a week to ensure quality. However, cleaning it after every use would be best for creating that perfect cup of coffee, every time. 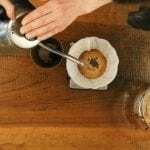 Unlike a few years back, there are several different types of coffee brewers present in the market. There are so many choices that most people get confused as to which one would be the best for them. The result? They end up the getting the wrong coffee machine. Having a high-end expensive brewer is not necessarily the best option. You have to factor in several different things like the number of cups you make every day, the space you have at home, the cleaning-routine you will be able to follow etc. Ensure that you do thorough research before making your purchase. It would be unfortunate to purchase a brewer that does not meet the needs of your household. 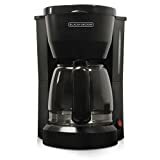 Coffee machines have become one of the most common kitchen appliances in American households today. Having one at home will not only add to your convenience, but also save you time (and money) every morning. Buy one with a timer, as this allows you to set the brewing time before going to bed, so that when you wake up, your coffee is already brewed and ready to consume. In fact, that’s probably how most of us get out of bed in the morning – the delicious smell of brewing coffee works like magic! 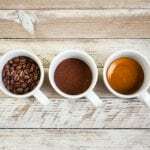 While household coffee brewers have become increasingly popular, don’t forget that the best coffee is brewed from freshly ground coffee beans. If you’re unsure where to purchase fresh beans, it might be good to do some research. Also, a grind-and-brew coffee maker would be perfect for those who aren’t quite sure how to grind their own coffee beans. Remember to follow the guidelines above to ensure that your coffee brewer works the way it should, and lasts as long as possible. These machines are durable – if you look after them properly. 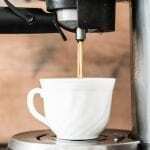 Are you looking into buying a new coffee maker? 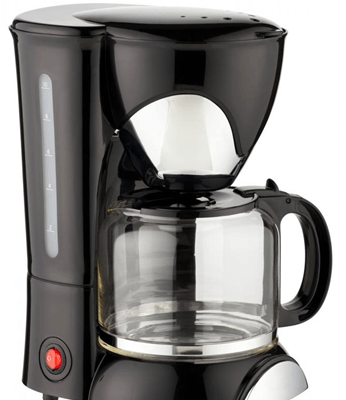 Check out these coffee maker reviews now. I hope your brew makes your day a little more bearable. 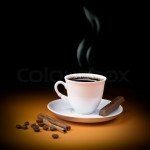 Enjoy your coffee and your day!